Your browser can't play this Clip. Please try with a different or newer version of the browser. An over zealous dad tries too hard to make his kid's birthday party perfect. 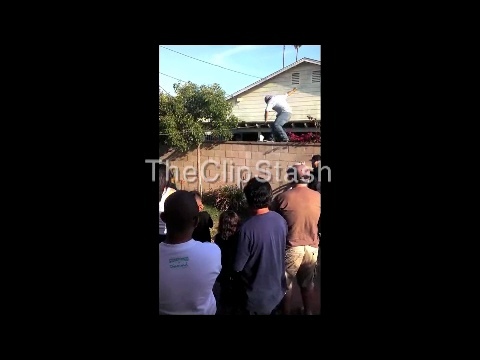 The man climbed the backyard wall to help shake the party pinata to make it harder to swat, but ends up flying off the ledge when a direct hit gives him some good vibrations he just can't handle!